Can you even imagine druidry without plants or trees? 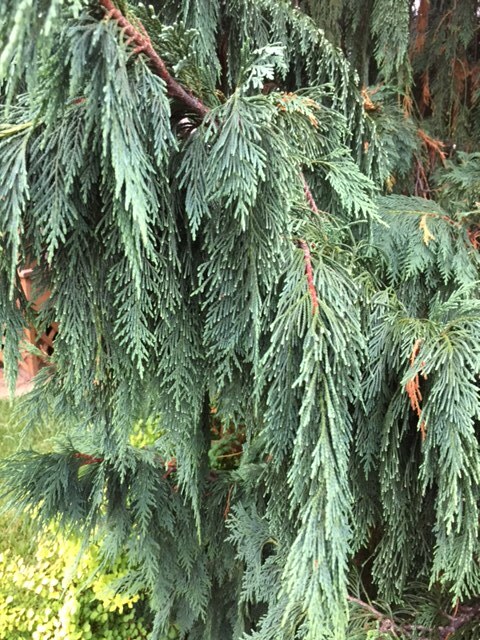 Plants and trees are some of our strongest allies for the work that we do, and are often connected to almost everything that we do spiritually. Plant spirits are teachers, guides, and allies. From before we had recorded history in any culture, the plant spirits were there, growing with us, guiding us, healing us, and supporting us on our journey. Today’s modern druid practice continues that tradition: we burn plants for smoke cleansing, clearing, and helping to energize spaces. 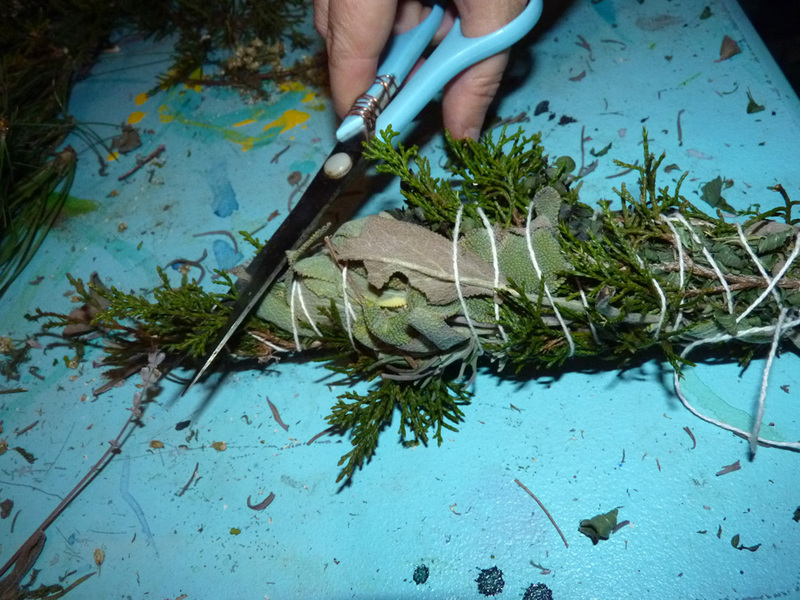 We use trees as part of divination and sacred rites. We use plants as healers, for magical healing and physical healing, and to connect with on deep levels. Plants have long been friends of humans–and have long walked beside us, hand in hand, as we do our sacred work. And today, we’ll explore ways we can offer that same kind of honor, respect, and nurturing in return–on both a local and global scale, given that we are in the age of the Anthropocene. For other posts in this series, please see Druidry for the 21st Century, Druidry in the Anthropocene, and Psychopoming the Anthropocene. In the age of the Anthropocene, given the strain on many ecosystems and species, it is necessary to be an “ethical” consumer–both reducing overall consumption, and when it is necessary to buy, knowing where our goods come from, who makes them and in what conditions, and what we are really supporting. This behavior, in turn, helps certain ethical products and companies succeed and creates less demand for unethical and damaging products. In the progressive circles, the idea of “voting with your dollars” comes to mind. We see this movement in food (local eating), clothing, electronics, and many more kinds of goods. There are good, bad, and ugly choices out there, and making ethical choices helps promote better livelihoods and protects ecosystems. With over half of the world’s species in serious decline, threatened, or endangered, I don’t think we can simply enjoy using whatever we find in the local pagan shop (even if we want to support that shop!). When you walk into one of these shops, or start browsing online, you can find literally thousands of places that are selling palo santo, white sage, sandalwood, and many other critically endangered plants. These plants are critically endangered because of their overuse, particularly by people who are far disconnected from their growth, harvest, and ecosystems. I’d like to suggest that we take the wisdom of the “ethical consumer” movement and apply it to the purchasing spiritual materials. This is particularly important for druidry and neopaganism, where it isn’t just about the physical, but also, the spirit. Ethical plant use, where we know where the plant comes from, how much of it remains, and how our own choice of using this plant is a necessary part. While I’m focusing on plants today, I want to add that this really applies to any goods we may use as part of our spiritual practice from two angles: the physical and spirit. I already grow and use a lot of my own herbs for spiritual and medicinal purposes, but occasionally, still enjoy the choice rare ingredient that I purchase or that is given to me as a gift. 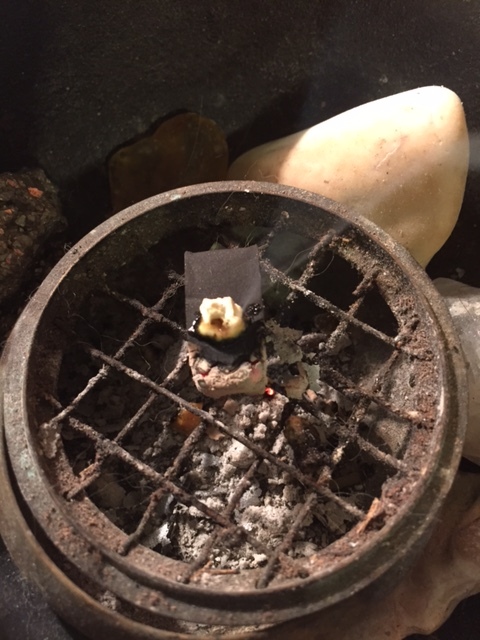 For example, the other night, I was burning a piece of Palo Santo that a friend had given me as a birthday gift and got the distinct question, “do you even know me?” The answer was, shamefully, no, I did not. So I started to research it, I found a host of material that suggests that the ethics of Palo Santo are all about the sourcing: it can be harvested ethically and be used to support native peoples and ecosystems, or it can be stripped bare. In holding my own piece of Palo Santo wood, I realized I couldn’t answer the important questions: where did this come from? How was it harvested? Who harvested it? Who profited from it? A few days later, after doing some research, I saw a post shared by a friend on social media. This post came from a woman native to Colombia who said that Palo Santo was being stripped from her forests, and begging people to stop using it. Palo Santo is hardly unique in this respect–there are so many plants that are now in global demand due to their uses for medicine or spiritual purposes. The work of Kelly Ablard is useful here. Her website details information on essential oil plants and their conservation status. As she describes, as global demand for certain plants rise, the plants become so lucrative that are over-harvested and can be poached, reducing biodiversity and threatening local people’s traditions and livelihoods. As the link I shared in the last paragraph about Palo Santo harvesting suggests, in purchasing plants for spiritual supplies, you can make choices that encourage biodiversity, enhance people’s livelihoods, and support life. Or you can make unknown choices, which are almost *always* the bad ones. Knowledge of sourcing is critically important. I have witnessed the vicious cycle of over harvesting driven by global demand firsthand here in the Appalachians, such as the case of wild ginseng. When I was a child, my grandfather used to come back with beautiful wild ginseng roots, and we would brew up ginseng tea and enjoy it as a special treat. I remember those roots–the look of them, the feel of them, the energy of them. He would only every bring back a small amount, as he was tending his wild patch long-term so that, as he told me once, “my grandkids will be able to harvest this as I did.” However, the patch was stripped bare by ginseng wildharvesters (I call them poachers) ages ago–every last root was taken. 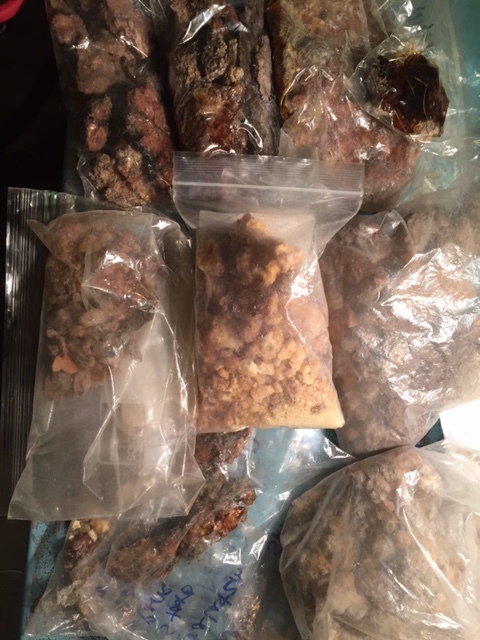 A good quality dried American Ginseng root, wildharvested, currently goes for between $500-$800 a dried pound, and there are many ginseng dealers that will pay top dollar for anyone who can deliver. They don’t care where it comes from, only what they can make from it (and the demand for ginseng is growing). So what happens is that people–usually poor people, out of work due to our poor economy–literally scour our mountains for Ginseng, Black Cohosh, Reishi, and other in-demand medicinal plants–and when they find them, they harvest all they can. Over the years, I have covered thousands of miles of forests, nearly all of them here in the Appalachians. And I’ve never seen a single wild ginseng plant. The demand for ginseng is primarily from China–a far off place wanting to pay top dollar for high quality ginseng. Chinese people buying American ginseng have no idea what it is doing to the wild ginseng populations here. And so locals here don’t even get to see the plant, much less, build a relationship with it–it is no longer part of our forest ecology. That same story can be told about many, many of these in demand sacred plants–and I think its useful to see that this overharvest problem can happen anywhere, even in “developed” nations like the US. (In the case of ginseng, I will also note that a new forest-grown initiative is helping change the way ginseng is harvested, which is great–but not enough to restore wild populations). The “Wildharvest” label is fraught with problems. 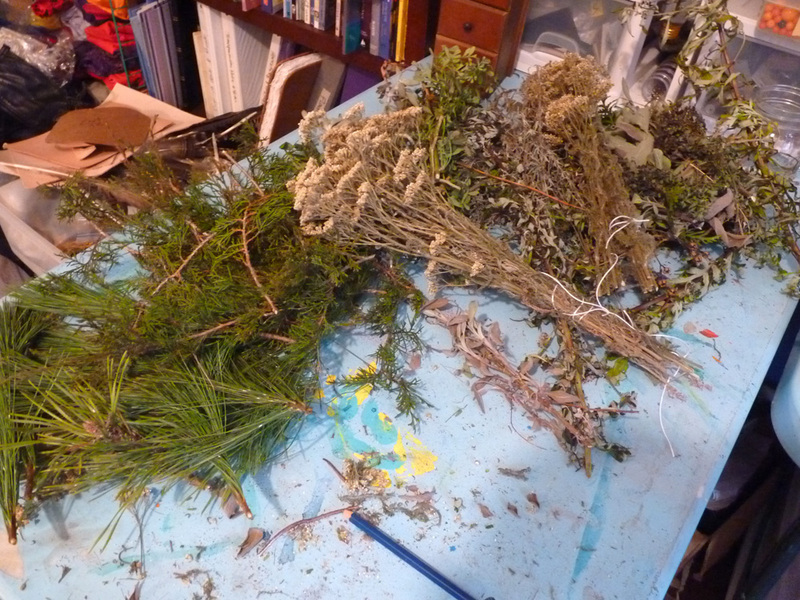 I have spoken to a lot of people in teaching herbalism classes who think it’s better if its wildharvested. I say, “better for who?” Certainly not better for the plant population! Wild harvesters who are harvesting for profit have a wide range of practices and ethics. You have no idea what the total population of the plant is, you have no idea how many different wildharvesters came through an area, or how many they take. A farm, on the other hand, is growing and harvesting there for the long-term, harvesting each year and conserving populations. Here, most of our wild harvesters looking for ginseng are folks that are out of work and pretty desperate for cash, particularly because of the long decline of the rust belt economy. Knowing which plants are of particularly concern and how they are harvested is also an important part of this process. 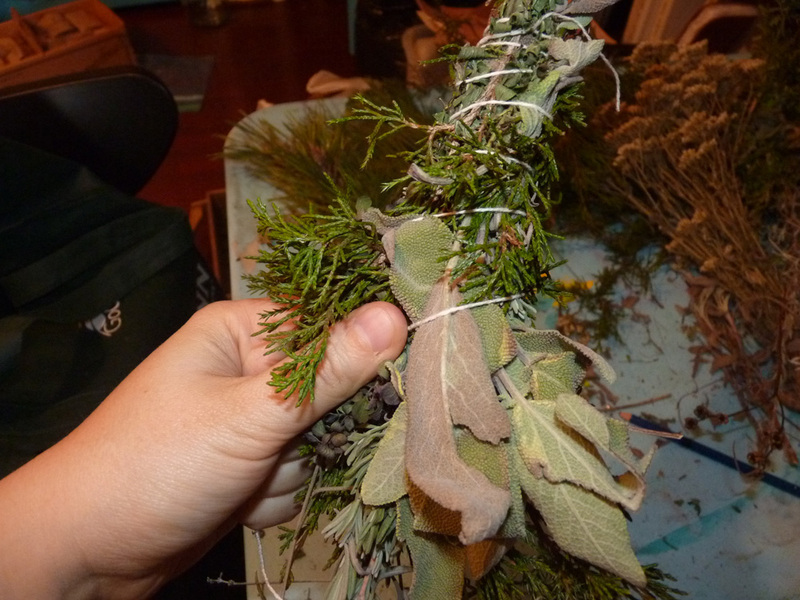 One good source of information on some plants in North America is the United Plant Savers; just this year, White Sage was added to their list due to wildharvesting and overharvesting. Ablard’s notes critically endangered plants by region. These include Palo Santo (Peru), Juniper Berry (from Morocco), Sandalwood (Timor Leste), Spikenard, and Agarwood. Her lists also include sweet almond, olive, cedar, elm, and sassafras (in certain locations), and Eastern Hemlock here in the USA. 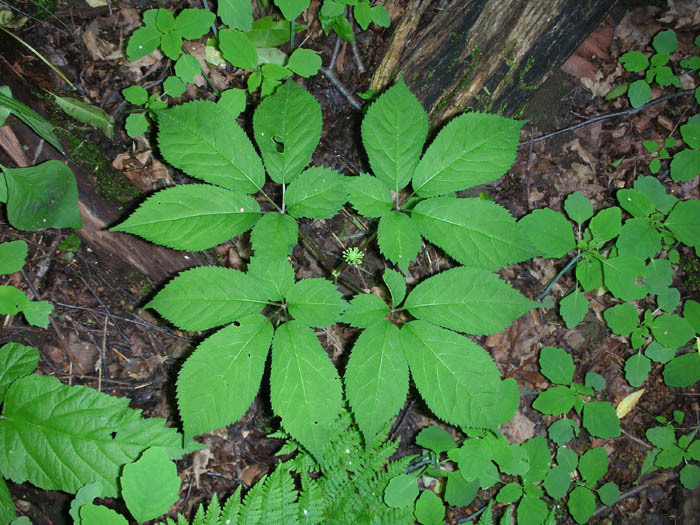 A lot of plants that are endangered are “whole plant” harvests; ginseng being a good example–if harvesting wood or roots, or all of the aerial parts of a plant, what is left of that plant afterwards? The other piece of this is cultural appropriation. 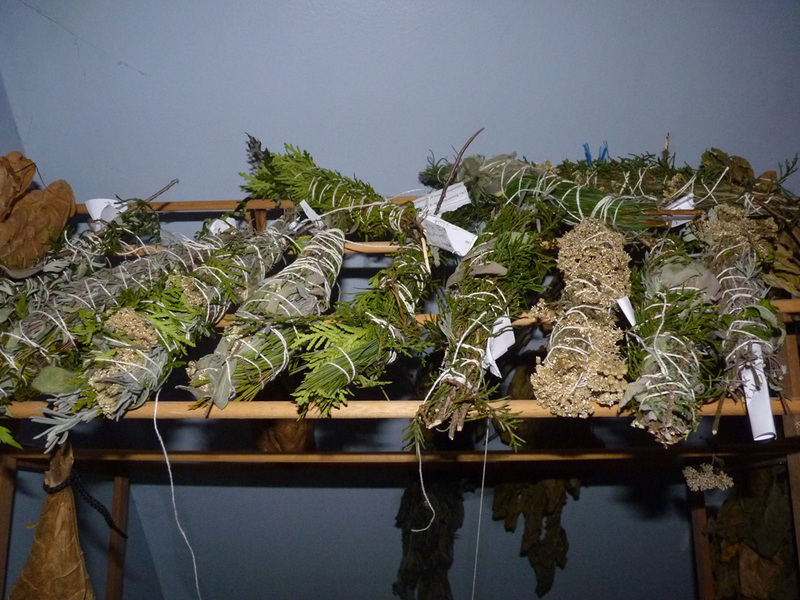 While smoke cleansing (what are commonly called smudging or smudging ceremonies) of all kind are used widely in global traditions (such as this delightful German practice that Christian Brunner describes on his blog) the use of particular plants for smoke cleansing is tied to certain indigenous practices. White sage has been in the spotlight recently as one such plant. Increased demand for white sage use are driving up the prices of white sage, and reducing native access to wild white sage (due to commercial wildharvesting), and putting white sage plants themselves at risk. 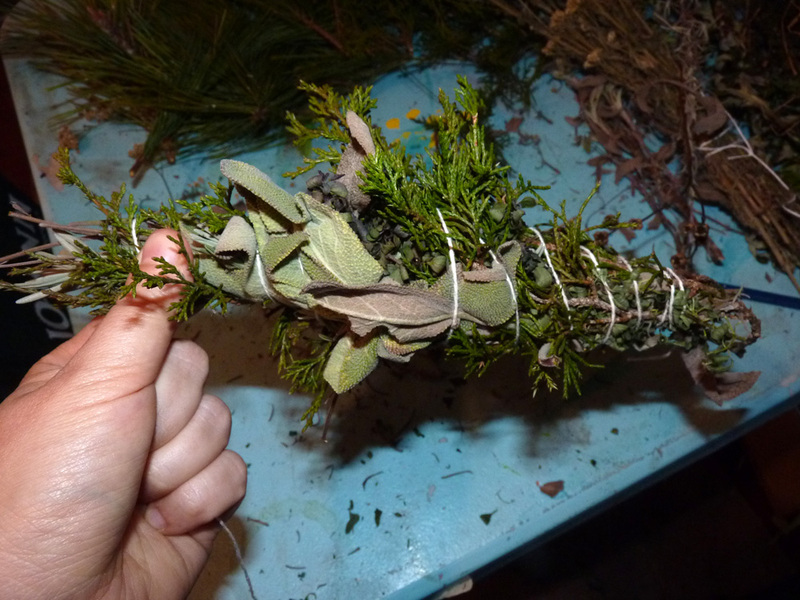 Even the term “smudging” is coming under question as a term that appropriates a native practice; see this perspective shared here. I think the key takeaway here is that some of these plants are tied to indigenous traditions, and should be respected as such, particularly when it comes to specific ceremonies and/or wild populations under use by indigenous peoples. In the end, the questions I keep coming back to are: Is it right or ethical that we use these plants to the point of their extinction? Is it right to create such demand for plants that native peoples who depend on them for spiritual practices and cannot find them to use? Can we find a better way? These are important questions, but just as important are the spiritual implication of sourcing of plant material. Even if we put every physical consideration aside, there is still the matter of spirit–honoring the spirit of the plant, working with the spirit of the plant, and connecting to the spirit of the plant. Attending to our connection and relationship with the spirit of a specific plant we are using spiritually matters if we want our spiritual practices to have effect. 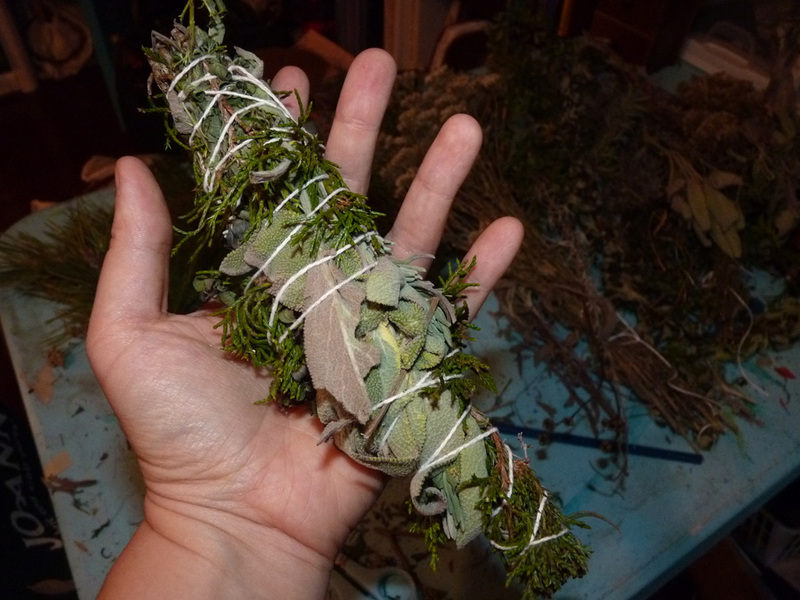 Sure, I could wave some rosemary and sage around to “clear” my room before doing a ritual, but if my relationship with sage is one rooted in blind consumption, and not connection, is that sage really going to want to support my efforts? What energy tied to the plant’s harvest and sale, is being brought in at the same time? 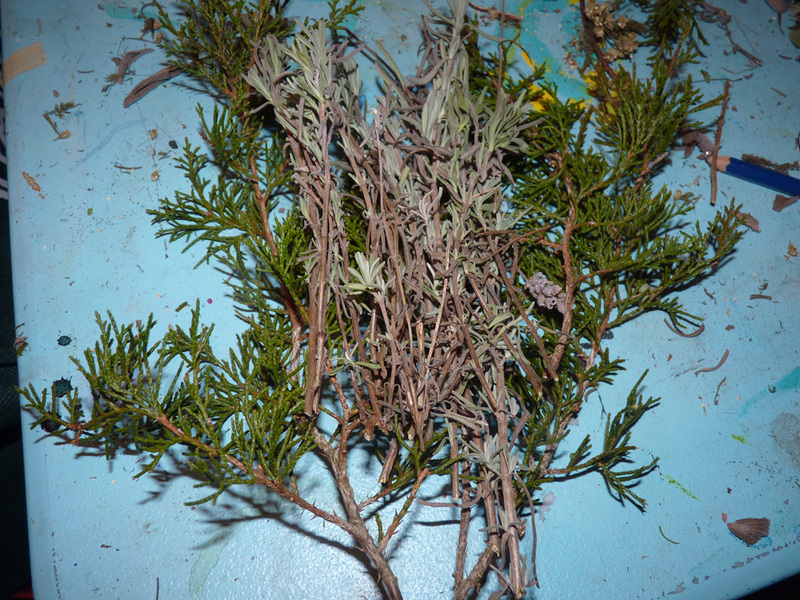 The way in which the plant was obtained has a direct relationship with the connection–and depth of connection–I am able to have with the plant. If I purchase a plant from an unknown source, I am bringing all of the energy of that source into my spiritual practice. 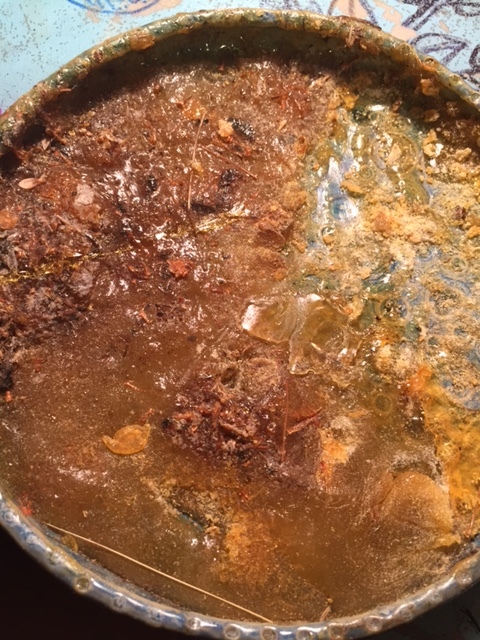 Who harvested it, how it was harvested, how it was handled, how it was sold, how it was transported–and in the case of poaching and overharvesting, that may be energy I very much do not want to have in my life. 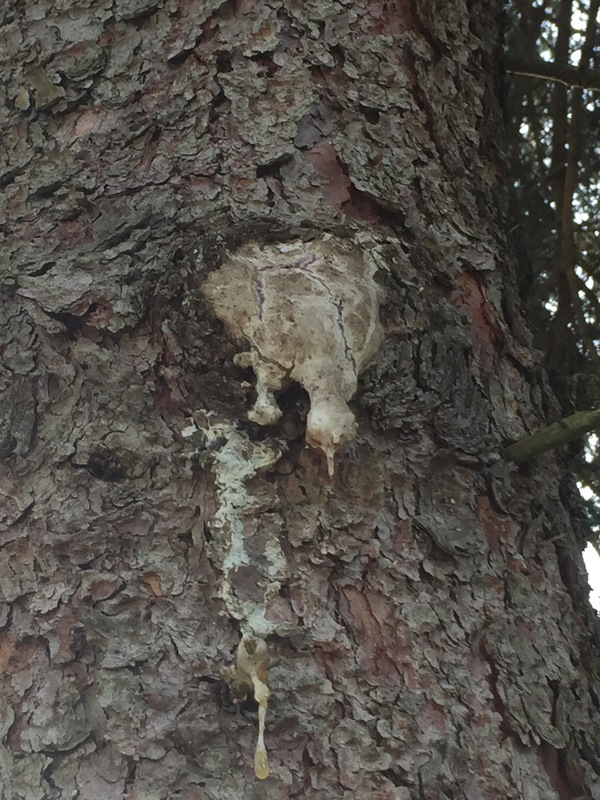 What was that plant’s life–and harvest–like? Was it done respectfully? Was it done in a sacred manner? If not, do I even have any hope of connecting with it spiritually? These questions are critical in developing spiritual practices surrounding plant use. Anytime we use a plant as part of our sacred practices, we are building relationships with that plant. Plants work physically and spiritually, but for many of the deeper spiritual uses, they really do require a deep connection. 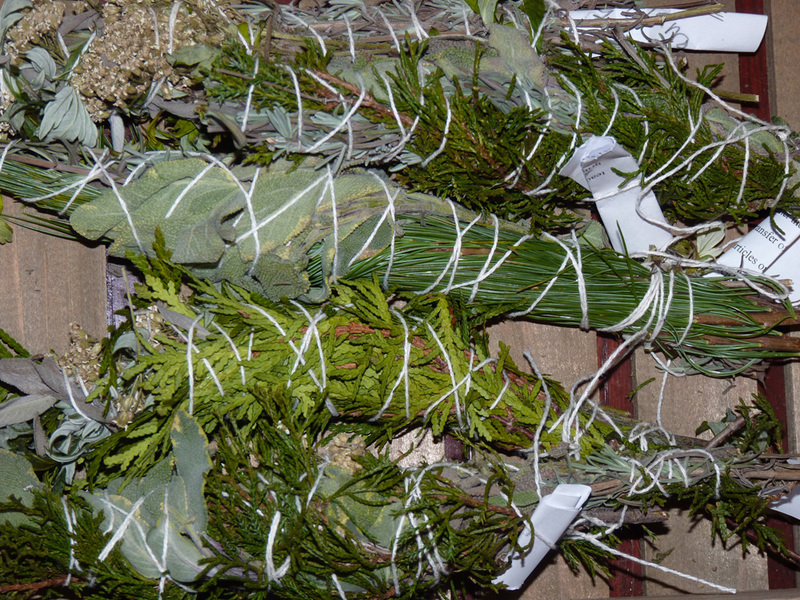 For example, many herbalists, understand and quietly share about entheogenic properties of Calamus (Sweet flag). You can’t get there with a single huge dose of Calamus. You have to connect with the spirit of the Calamus, build a relationship with it over a long period of time. As part of this, you have to work with the plant, tend it, plant it, spend time with it, meditate with it, and ethically and respectfully harvest it. At some point, sometimes years or decades later, Calamus open you up for visions and experiences. This isn’t something you can buy or purchase or force to happen–it is something you cultivate over time. Calamus offers you a process of initiation–and it must be done with the utmost respect and patience. The need to cultivate deep relationships to really “know” a plant and use it for good spiritual effect is necessary for every plant we might work with spiritually. Each plant offers us an initiation into its own mysteries, teachings, and magic; and having those initiations will allow you to use the plant to its full magical or spiritual effect. However, we have to build that relationship. It’s hard to build a relationship with a plant that has had suffering, death, and pain as part of its sourcing. In the case of some plants, sure, you can use them spiritually, but you aren’t ever going to breach that barrier into deeper work if these other concerns are present. I can burn my piece of Palo Santo, and it smells nice and produces a calming energy. But that experience is very surface. But under no circumstances, could I ever build a deep relationship with that particular wood, given the conditions under which it was harvested and the energy that it now carries with it. Given the above, I’d like to advocate for the key practice of ethical plant use in druidry and other neo-pagan paths. By the term “ethics,” I draw upon permaculture‘s three ethics of people care, earth care, and fair share. People Care encourages us to think about the sourcing of the plant (if you are not growing it yourself) and how the harvest of this plant is tied to local communities and local labor. Earth Care asks us to consider how the harvest of this plant may have affected the plant and plant species itself as well as the broader ecosystem where the plant grows. Fair Share asks us to take only what we need of the plant, and certainly, to make sure this plant is available to indigenous peoples who might depend upon it–fair share can take place both on and individual level or a cultural level. Now let’s consider a range of alternative practices to simply “consuming” plants. Substitutions: Yes, palo santo, frankincense, sandalwood, and so on smell amazing–but do I really need these specific plants? Can I instead use local plants that are growing in your own ecosystem, or even backyard? 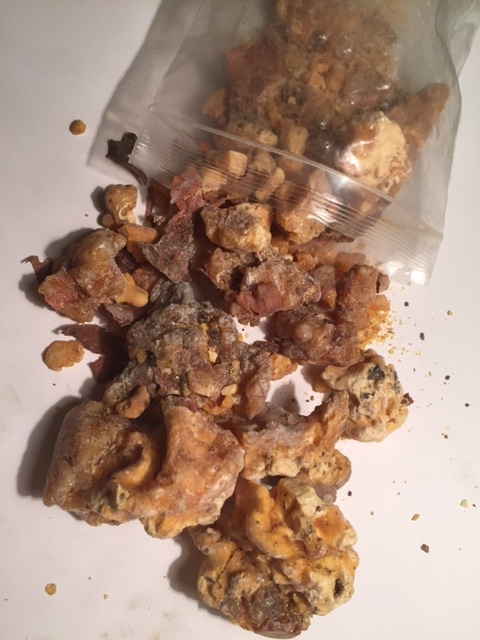 For example, I brought back a small amount of Frankincense when I visited Oman a few years ago and have been slowly using it, but learning what I have about Frankincense and the disappearing frankincense trees, I will not purchase any more. Frankincense cannot be cultivated commercially, and overharvesing is killing trees–and will severely impact cultures that depend on it as part of their cultural and religious traditions. 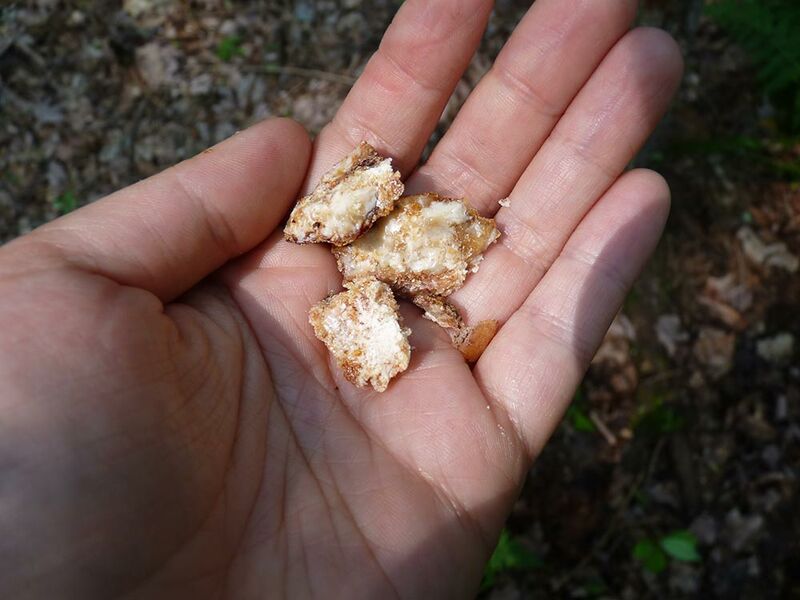 I have already replaced Frankincense with locally harvested white pine resin, which has a similar smell and similar energetic qualities–and which I can harvest myself, thus, cultivating a deeper relationship with white pine and my local bioregion. Ethical Purchasing: Earth Care, People Care, and Fair Share. Purchasing is still on the table, but it should be done with ethics in mind. Some purchases are very good, and can support initiatives that help honor the plant and build livelihoods and ecosystems for local peoples. If you are buying locally or online, before you buy, ask some good questions to ensure an ethical and sustainable harvest. Who is profiting from this plant? If purchasing locally, if the shop owner can’t tell you the answers (especially to the first three questions below), perhaps encourage that person to consider a different source. If buying online, you can ask the same information if it is not available. For Palo Santo, for example, Mountain Rose Herbs describes exactly where they get their Palo Santo and their conservation efforts. If I wanted more Palo Santo and it was very important to my practice, I’d want to get it from this kind of source–where I am not only supporting a local farm in Equador, but also supporting the replanting of Palo Santo trees. To me, this is critical–a good purchase can do a lot of good and support people care, earth care, and fair share. Ethical Growing: The easiest way to manage a population and cultivate deep relationships is to grow it yourself, if you can. 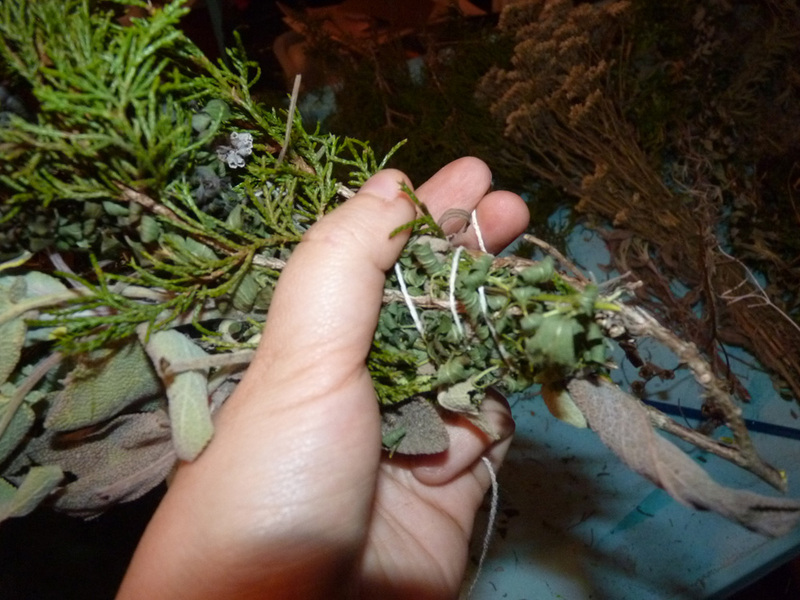 For example, I never buy white sage, but I love the smell and I do like to use it as part of certain incense blends that I make and use regularly. Thus, I grow it myself, and try to let some of my plants to go seed so that I can sustainably grow it in the future. Even if you don’t have land to grow large amounts of plants on, you can still grow a number of your own magical herbs. 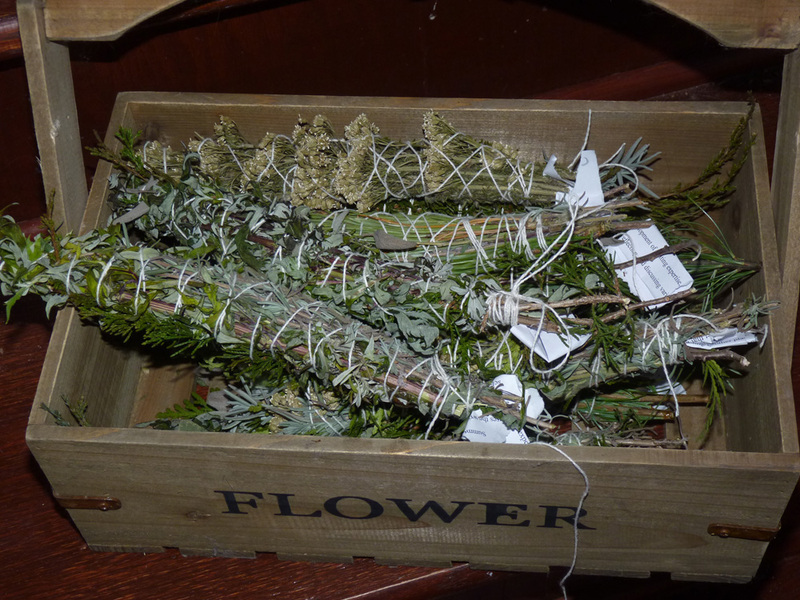 In fact, many garden herbs are potentate magical allies and readily available for purchase in the spring. 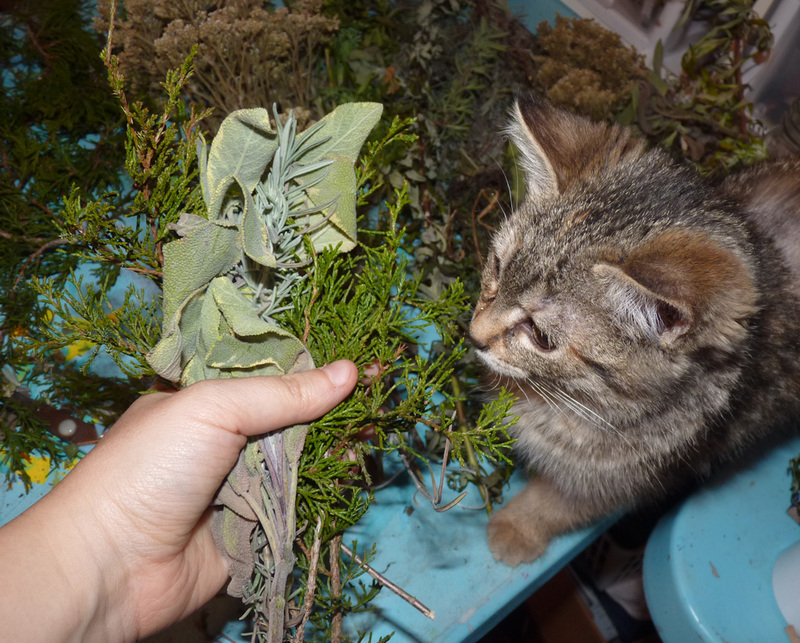 A pot of rosemary, sage, white sage, bay laurel, thyme, or lavender would all be a very useful culinary, magical, and medicinal ally–and you build your relationship considerably with each time you tend the plant. You can also grow many things outdoors, if you have the space. Ethical Wildharvesting: Some plants, and trees, are harder to grow in pots in your windowsill or garden but certainly can be wildharvested ethically, taking only what you need, helping populations grow by spreading seeds, and tending the land that supports the plants. I like to wildharvest plants on private lands (asking landowners, developing relationships with them) so that I know exactly how many people are harvesting there and how much is being taken. Harvesting on public lands presents a much larger problem because even if you take only a little, you are never sure how much is being taken by others (hence, my ginseng example above). 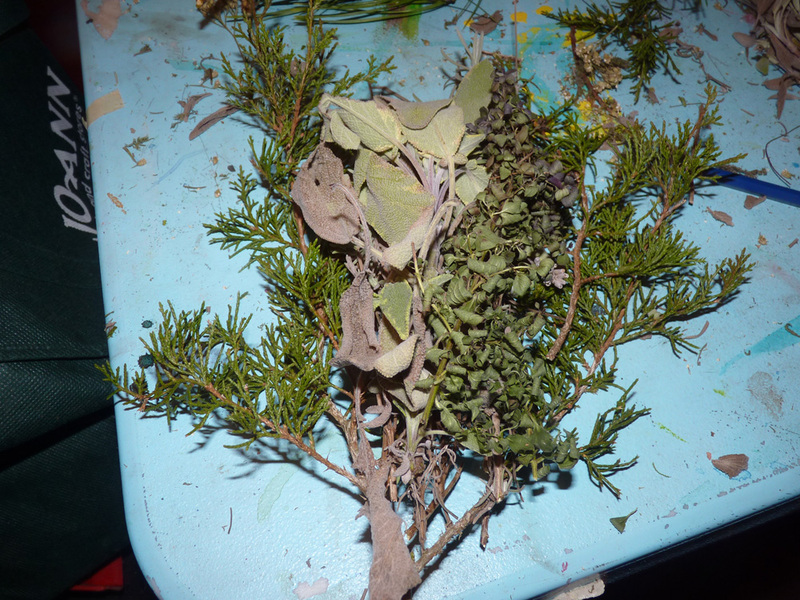 For more on tree incenses and resins you can harvest from North America based on my own research, see this post. 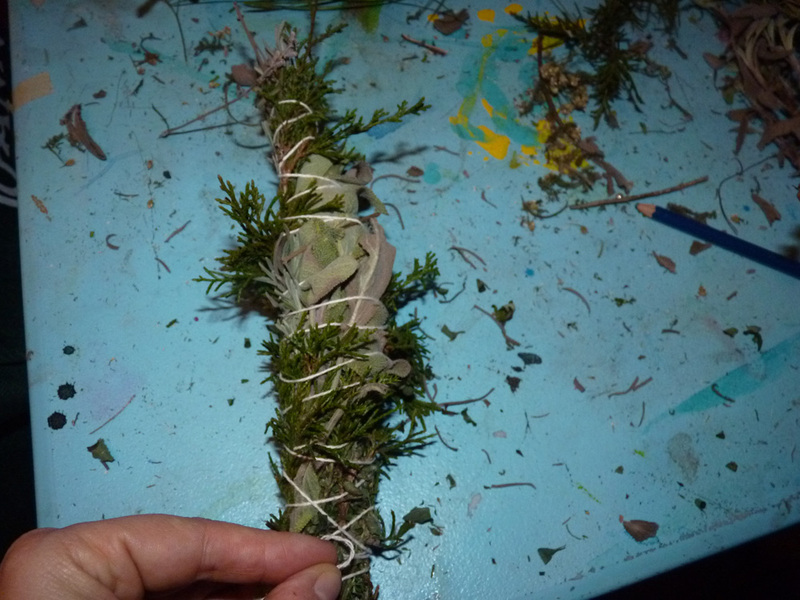 For more on how to create wildharveted and home-grown smudge sticks for smoke cleansing, see here and here. For more on how to learn foraging and wildharvesting, see my series here and here. I hope this has been a helpful way of thinking about how to respond to the Anthropocene–it might seem like a small piece of the larger puzzle, but it is a piece we have a lot of direct control over. For these populations of plants, communities, and ecosystems, making ethical choices, reducing our demand, and practicing people care, earth care, and fair share may make all the difference.